The struggles with Red Hat (NYSE:RHT) stock continue. The Raleigh-based, open source software company has seen all of its gains from 2018 wiped out based on its last two earnings reports. Lower guidance in June and falling revenue growth reported in September have placed Red Hat stock in a downtrend that has sent the equity to levels near its 52-week lows. However, management has signaled that Linux has hit a sort of bottom and that conditions will improve in coming quarters. Whatever happens, Red Hat remains a solid company on track to continue its double-digit earnings growth. I believe that once revenue growth resumes the higher levels of past quarters, investors will return to Red Hat stock. Growth fears have plagued RHT stock since the summer. Following its June earnings report, downside guidance sent Red Hat stock plunging. The RHT stock price fell by around 14% after that announcement. It has not recovered since. The downtrend resumed following its September earnings report where the company missed revenue projections. Now the stock has inched its way back toward its 52-week lows. Despite its 30% sell-off since June, the price-to-earnings (PE) ratio stands at about 35.8. While not as expensive as in the past, RHT stock remains pricey. However, CEO Jim Whitehurst sees this revenue growth slowdown as temporary. He believes the stock has now hit the point that he refers to as the “Linux bottom,” claiming that spending on Linux will recover soon. For most of its history, RHT has provided free, open source Linux software. It would then derive its revenue from both its training and services department, as well as from subscription services. It is these subscription services that management says have hampered growth temporarily. 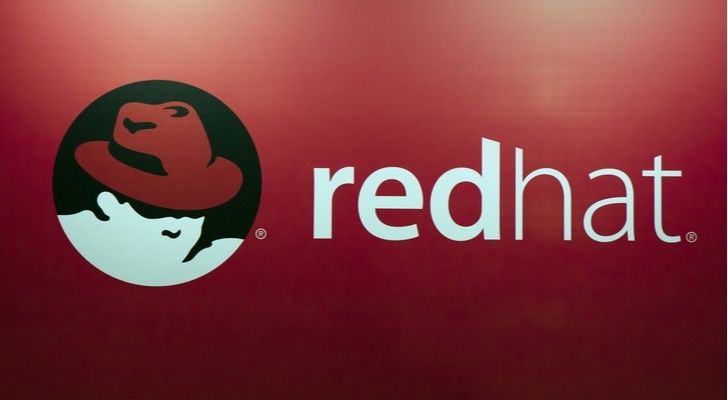 About three years ago, Red Hat locked many of its clients into three-year agreements. They believed its sales team could more easily cross-sell new products under these deals. These agreements have begun to come up for renewal. At this time, Mr. Whitehurst believes this will turn around the lagging revenue growth. The CEO also cites the company’s backlog. This backlog grew by 20% in the previous quarter. He argues that both growth from the backlog and contract renewals will bolster Red Hat stock. Whether Mr. Whitehurst’s claims come to pass remains to be seen. However, I think investors need to continue to watch RHT stock for a buying opportunity. Despite the setbacks, analysts project 16.4% income growth this year and 14.7% for the next fiscal year. Moreover, Red Hat stock continues to underperform its peers in the cloud. Companies such as Adobe (NASDAQ:ADBE), Salesforce.com (NYSE:CRM) and VMWare (NYSE:VMW) all support higher multiples. For this reason, I do not see RHT’s expensive PE ratio as the problem. I believe RHT stock could support comparable multiples again, just not in a slowing revenue environment. We will likely not know if that growth rate has returned until at least December. Until that time, I would urge investors to watch, but not buy. Slowing revenues have become the driving influence of Red Hat stock. These fears have sent the RHT stock price down by about 30%. They have also wiped out the gains for the year as the stock marches toward its 52-week lows. However, investors should remember that net income growth remains well into the double-digits. Also, most of Red Hat’s cloud peers trade at much higher PE ratios. Once revenue growth resumes, Red Hat will likely sell at the high PE ratios other cloud companies enjoy. Until then, prospective buyers should stay on the sidelines. Article printed from InvestorPlace Media, https://investorplace.com/2018/10/red-hat-stock-hinges-return-revenue-growth/.